Apex Sport has been a revolution in the sports industry in India. Our company has since claimed the proud crest of being India’s largest turnkey Sports Infrastructure Company. Apex Sports first came to life in the year 2009 and has embarked on a long epic journey since then. The founder Shree PRABHUDAYAL JANGID, the Co-founder SUNIL KUMAR P. D. JANGID & ROHITASH R. JANGID, were pioneers who helped build the foundation and runs the Mumbai based head office, since then the company has expanded out our roots and are now opened and successfully running offices in Delhi, Guwahati, Jaipur, Shillong, Aurangabad, Agra and even Bangalore. Your requirements are embraced by us Whether its solid wood, rubber or synthetic flooring we have it all. Ranging from permanent and portable fittings and quality oriented surfaces that provide clients with superior playability, shock absorption, durability, and resiliency. 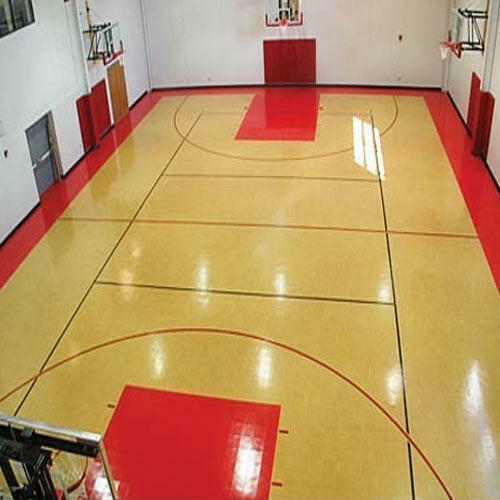 At Apex Sports, we handle everything from the installation of the flooring, to even the consultation with the engineers or architect to help our clients with tailor-made designs. We also discuss the important deal and share our insights with our clients to help ensure the most credible surface with the right budget. With our sales office assigned to catering to any clients requirements, in addition to our experience till date, has given us all the capacity and capability to perform superior manufacturing and exceed all customers expectation. Apex Sports became full-fledged wooden sports flooring suppliers and manufactures in 2000 and rendering our clients with a single point of contact for all sports surface construction. Our team consists of an in-house skilled team for any installations and experienced professionals, to inspect all quality aspects from the raw material stage to the final finishing and fabrication of the surface. We make floorings for all types of sports surfaces, such as Badminton, Athletic Tracks, Squash, Basketball, Hockey Pitches, Tennis, Volleyball, Artificial Football, and landscapes. We are committed to being a knowledge resource, when dealing with sports vicinity stakeholders and providing value for money flooring solutions. We assist clients to make informed flooring decisions, that are cost-effective and do not damage easily. Our company is well certified with third-party certifications ranging from ITF, IAAF, FIBA, IHF, BWF, IAAF, and WSF. This certification is credited to Apex Sports for quality and international standards, befitting Olympic level playing floorboards and surfaces. All our floorings are tested and approved by the company and even onsite field test after installing. Our manufacturing unit is ISO certified and environmentally friendly with a huge clientele based. Apex Sports develops the latest technology, by implementing USA based research and analysis with sports floorings. We are bench set on becoming India’s solution for all sports-related infrastructure.